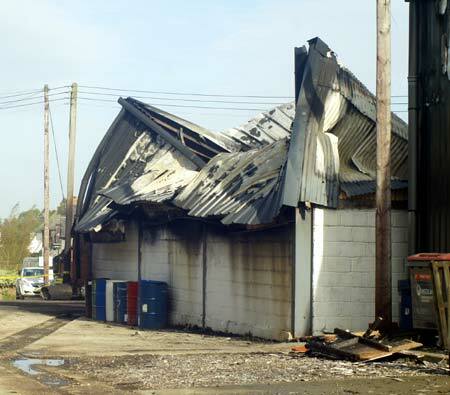 Fire crews from East Hampshire were call to an intense fire in an Industrial Unit at Hartley Business Park last night (21st October). Strong winds were driving fumes and thick smoke across Selborne Road which was temporarily closed to traffic between the Round House crossroads and the Hall Lane junction, causing a dramatic, albeit temporary, increase in traffic through Farringdon. 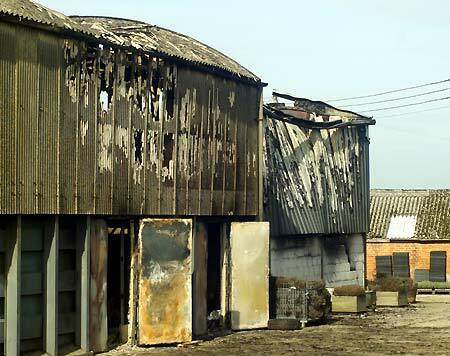 No one was injured in the fire which completely destroyed the unit occupied by Topaz International, and severely damaged the adjacent unit. Topaz process and produce Essential oils and aroma chemicals and various products stored in the building led to the intense fire clearly visible from many parts of Farringdon. The roof and east side of the neighbouring unit were also badly damaged as strong winds fanned the flames directly towards the camera position the Selborne Road side of the units. 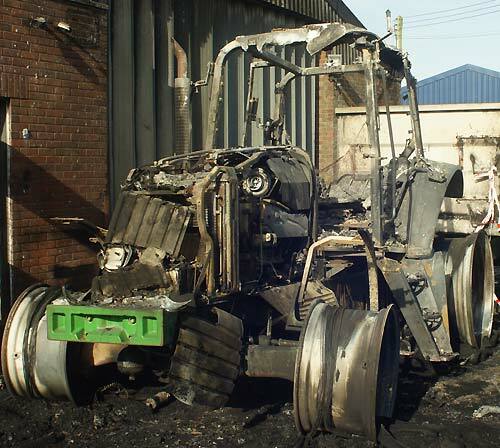 Despite the wind the intense heat set fire to and completely burnt out a tractor parked across the drive from the fire but apart from superficial damage most other buildings in the yard were not seriously damaged. During the fire, burning fluid and unburnt chemicals were flushed down the the sloping drive to the north of the unit, contaminating the nearby watercourse. Environment Agency personnel were hoping to remove threatened species further downstream, and transfer them to another tributary of the Wey Stream system, to offer protection while the natural flow dilutes the contaminants and flushes the stream clear. 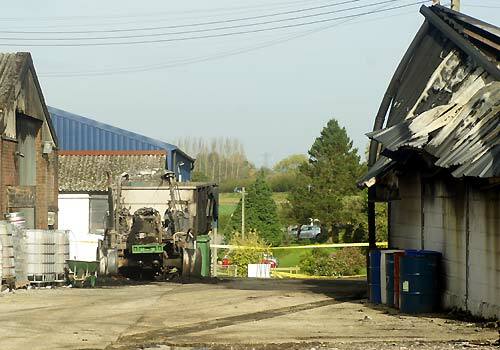 The cause of the fire is unknown but a Fire Investigation team is expected on site shortly.